Learn more about the SecPoint IT Security Products. 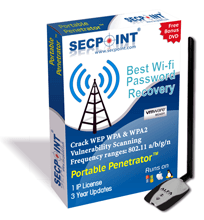 Portable Penetrator - WiFi Password Recovery WEP WPA WPA2 WPS. Protector UTM Appliance - Give you complete network security and control. Penetrator Vulnerability Scanner - Scan your whole network for vulnerabilities and resolve them. Cloud Penetrator - Easily audit your Web site and or Web shop for vulnerabilities SQL Injection, XSS and more. To get more information about the SecPoint products please click the live chat or mail us. Backdoor free IT Security products with no data collection. IPS protect for SCADA attacks. 2FA authentication supported. Google Authenticator. Do You Know If Your WiFi Networks Are Secure? Portable Penetrator WiFi Security pen Testing security weaknesses. Make your Wi-Fi networks secure today! Best State of the art complete fully loaded UTM Firewall appliance. Available as rack mountable or Virtual software Image. Automated local and public vulnerability scanning and assessment. Do You Know If Your Web Servers Are Secure? Prevent Hackers from entering your web servers servers. Prevent hackers from entering your Wifi Networks! Portable Penetrator Solves all your Wi-Fi security problems. Secure your WiFi network and prevent attacking from doing wpa cracking. Are You Tired of Spam, Virus, Worms, Trojan and Attackers? Prevent Spam,Virus,Hackers,Worms from entering your network! Do You Know If Your Networks Are Secure? Prevent Hackers from entering your servers and network. Learn how you can secure your website doing Web Vulnerability Scanning. SecPoint delivers the best Anti Spam UTM Appliances and the best Vulnerability scanner. To buy a product we have chosen to work with resellers and distributors. To buy from a local reseller in your country Please click the partner locator. Get the best vulnerability scanner product today. 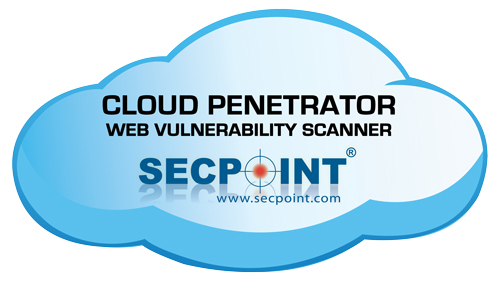 Best Web Vulnerability Scanning with Cloud Penetrator.